Thonga Beach Lodge is set on the pristine shores of the Maputuland Coast, KwaZulu-Natal. 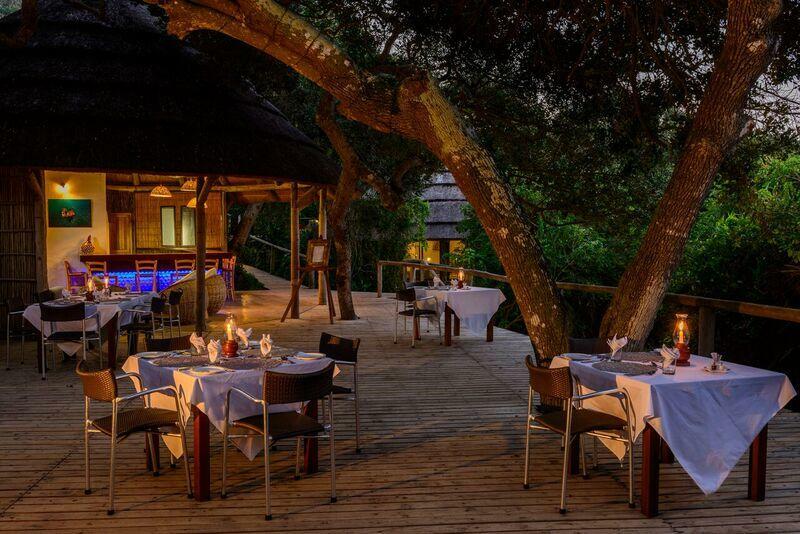 This 24-bed luxury lodge is the ideal place to discover one of Africa’s last unspoiled wilderness beaches. It is a magical place of coastal forests, grasslands, bush, shimmering lakes and exquisite sandy beaches. Its crystal clear, warm waters offer South Africa’s best snorkeling and excellent off-shore SCUBA diving and excellent birding opportunities. Guided birding, scorpion & spider walks & Turtle Tracking are offered in season. The 12 thatched bush suites offer either Ocean or Forest Views with Deluxe Ocean Views room sporting private plunge pools. The suites are positioned to afford maximum privacy & minimal environmental impact. Excellent cuisine is enjoyed al fresco on the dining deck or beach deck overlooking the sea. This is an ideal choice for honeymooners, families, SCUBA divers or anyone who wants to simply relax. A civilized distance from civilization. Daily flights to Richards Bay ex Johannesburg with SA Express 3hr 30 min road transfer to lodge. Daily regional & international flights to King Shaka International Airport 5hr 30 min road transfer to lodge. 4×4 is required. Twice daily transfers are available from Coastal Cashews at 12h00 and 15h00. Additional charge. Secure parking available at Coastal Cashews for guest vehicles. 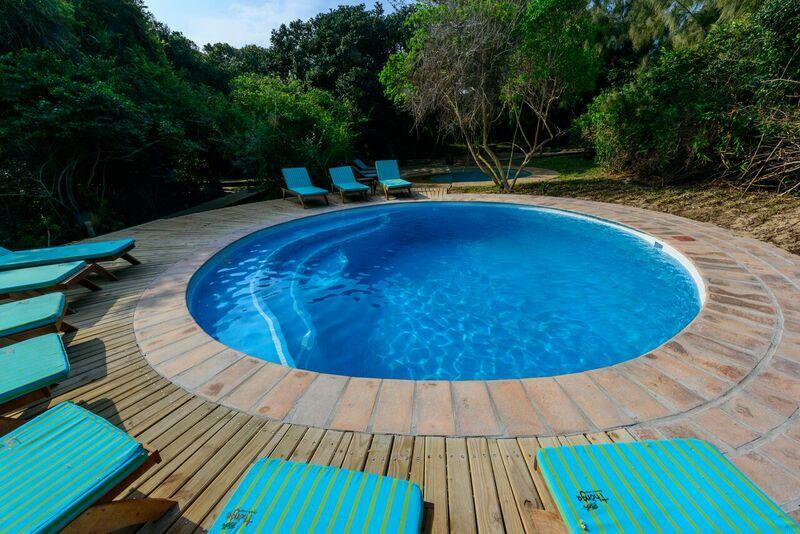 From R3 800 –R6 630 per person per night. Accommodation, meals, teas & coffees, use of snorkeling equipment, guided walks, kayaking and sundowners at Lake Sibaya, cultural tours to Mabibi Community. Each guest is entitled to 1 of the following on a sundowner excursion at Lake Sibaya, a glass of wine, local beer, cider or soft drink. Free in lounge area only. Can be slow & intermittent due to the satellite connection. Comfortable, casual & cool, swimwear, hats & sandals for the beach. All weather windbreaker & comfortable sturdy walking shoes.